The Bible says faith cometh by hearing and hearing by the Word of God. One of the best ways to reach lost loved ones is to play the Bible, the King James Bible (which can also be viewed on television if you get the DVD) in your home. My favorite narrator is Alexander Scourby (1913-1985). These Bibles can be purchased online from various Bible stores. Here is one. You'd be very wise to have your children listen to the Bible while they're playing, taking a nap, et cetera. 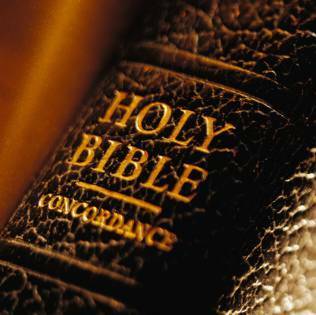 The great need of this hour is the King James Bible, which is the inspired and preserved Word of God in English. If you have an unsaved spouse, you never know what Seed may be planted in their heart through hearing the Words of God. America is in the horrendous mess it is in today because our nation has abandoned the King James Bible. There is no greater gift you can give a loved one than the King James Bible. Many people who won't read the Bible, will listen to It or watch It on television. ...I use the MP3 disks in my car, and the DVD in my laptop.